South Korea police have begun investigations into the "Druking" online comment-rigging scandal, centered on a South Korean blogger who interfered in online comments during the presidential race of 2017. The blogger with the surname Kim is suspected of interfering in online news articles through commentary. Seoul police obtained a flash drive containing fake comments on more than 90,000 news reports, Newsis reported Wednesday. Data show the blogger and his team of operatives interfered with manipulative comments from October 2016 to March 2017, when South Korea was caught in the grip of a presidential scandal that culminated in the impeachment of South Korean President Park Geun-hye. Park's impeachment led to snap elections and the election of current President Moon Jae-in. The suspect has been linked to Moon's ruling Democratic Party, and Yonhap reported Tuesday the blogger delivered $4,600 to a Moon aide in return for information on government jobs. South Korea police also requested a warrant for the suspect's arrest, but a local court dismissed the request, according to Newsis. "Whether or not there was an illegal rigging of online comments is something we will confirm going forward," a police source told the news service. Actions taken by Kim, whose nickname "Druking," is a combination of the words druid and king, extended well beyond the online world. Local news service No Cut News reported Wednesday police said Kim is linked to the November 2016 payment of about $25,000 to a South Korean lawmaker in the Democratic Party. 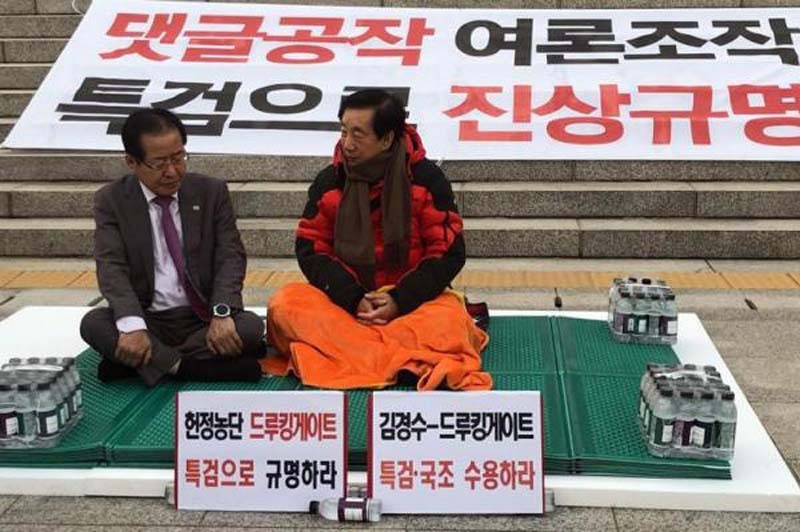 Rep. Kim Kyung-soo was allegedly paid the sum of money when he was elected a prospective candidate for a governorship in strategically important Gyeonggi Province. Conservative politician Nam Kyung-pil is the current governor.